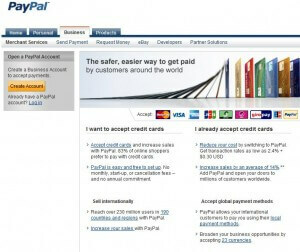 Home » Accepting Credit Cards » Should Small Businesses Use PayPal? When it comes to credit card processing, there’s no denying that PayPal is the most popular choice. A top reason why PayPal is a big hit especially among home business and small business entrepreneurs is the fact that it’s easy to set up. Applying for a merchant account can take some time and a lot of business owners are not willing to do paperwork or go through a complicated process. With PayPal, a seller simply needs to fill out an online application, submit it online, and it’s done. Everything is ready for them to accept credit card payment from customers. Credit check is also unnecessary so if you are a new or start-up business, your lack of business credit history does not need to be a problem. When it comes to processing fees, PayPal relatively have the lowest rates compared to other third-party credit card processing companies at 1.9% to 2.9% plus $0.30 per transaction. Other third-party processors charge as much as 10% to 15% with fees ranging from $1.50 to $3 per transaction. It offers secure online transactions for buyers. Merchants can transfer their funds directly from PayPal into their bank account. It is accessible for International customers. We’ve seen the advantages but what about the drawbacks? Using a third-party processing service like Paypal does have some disadvantages compared with using a dedicated merchant account. First of all, PayPal tends to side with consumers in matters of dispute. PayPal has a buyer protection policy so if a customer complains about an order that they did not receive or the item is defective, the merchant was present a proof of delivery to PayPal. To avoid penalty fees and losses, a merchant must make sure that the shipping company provides a way to track the status of shipment and a verifiable confirmation of delivery. The long list of terms and conditions can prove to be a major inconvenience. If you fail to comply with even a simple rule, your account can be locked and your funds can be held for a considerable length of time (from several days to 6 months) while PayPal conducts an investigation. While merchants can transfer funds from Paypal to a bank account, processing time can take longer than having your merchant account. It can take 4 business days before you can withdraw the funds from your bank account. Such delays can be a big hassle especially when cash flow is tight. With your own merchant account, the transfer of funds takes only 1 to days to complete. Customer service is another issue that a business owner must consider. PayPal’s customer service is not exactly known to be reliable at all times. It can be difficult to reach someone who has the authority to make decisions and this can prove to be a problem when you are confronted with an emergency situation. In conclusion, business owners must carefully weigh the pros and cons before choosing a third-party credit card merchant processor like PayPal. 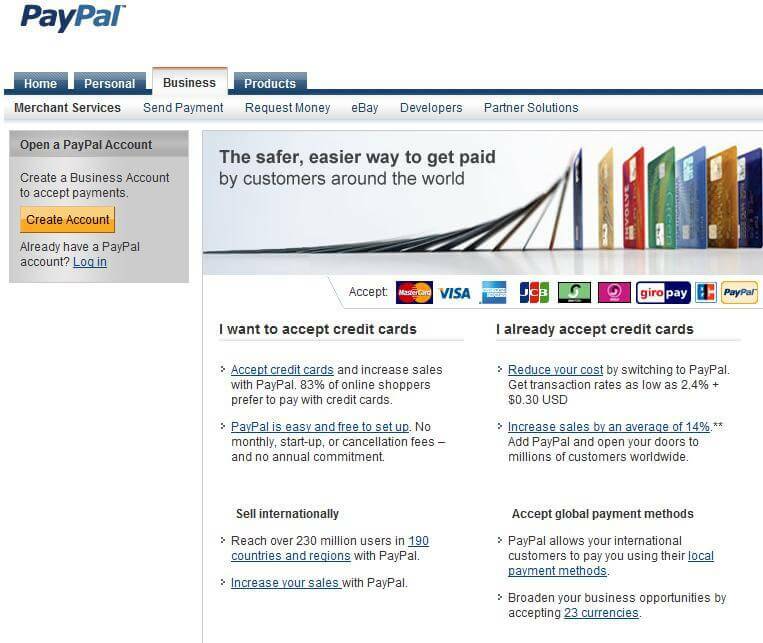 If you want to test how your market responds to credit card payment, you may consider signing up with PayPal. Nevertheless, if you will consider long-term credit card processing, applying for a merchant account is still recommended. Do you use PayPal or another credit card processing service? Would you recommend it? Please feel free to share your views by leaving a comment.